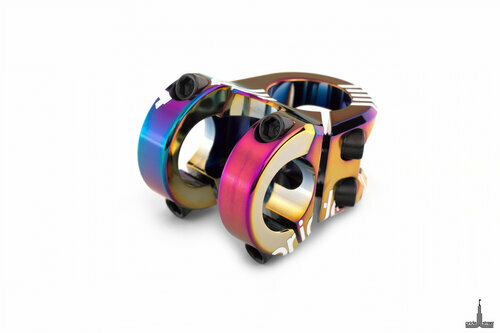 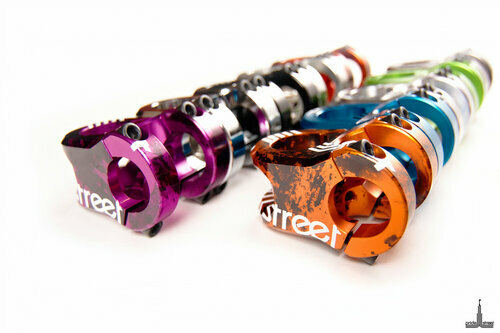 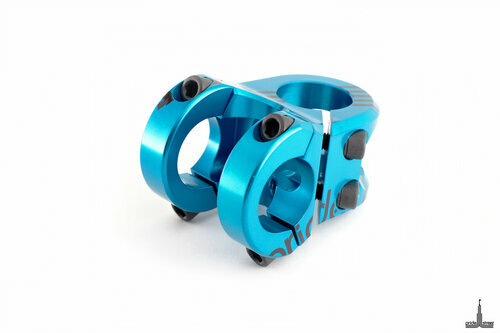 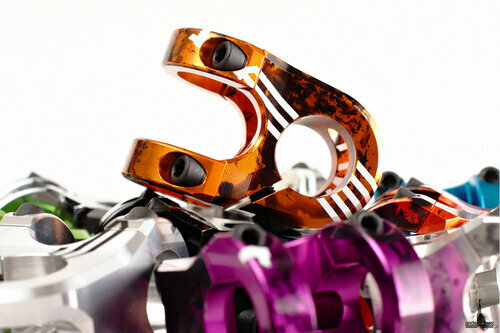 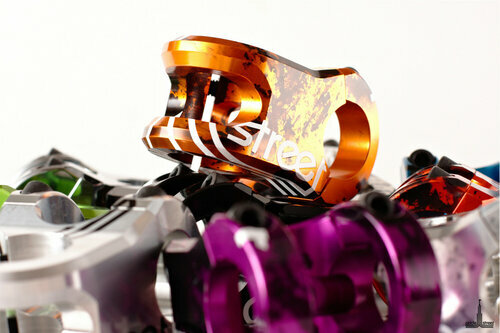 The high-end Squad Stem is available in 25.4 and 31.8 sizes. 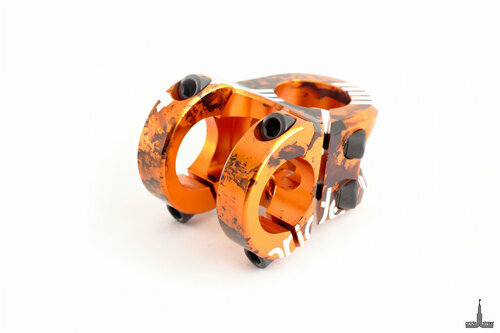 The small bar bore version is 36mm following requests from dirt jump riders. 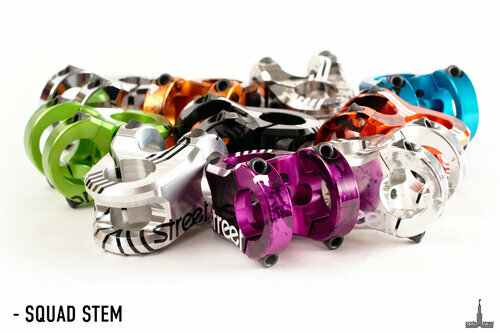 The Squad Stem is cold forged from quality AL6061 T6 in our own molds before going into the CNC department. 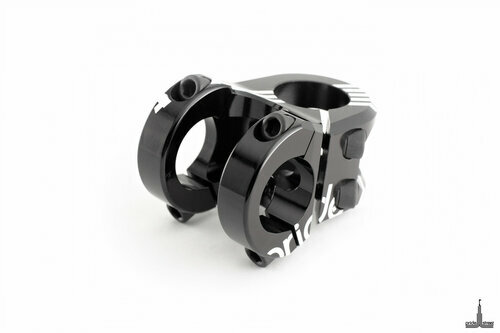 The short reach comparing to most stems on the market and zero degree rise makes it the perfect stem for new school riding. 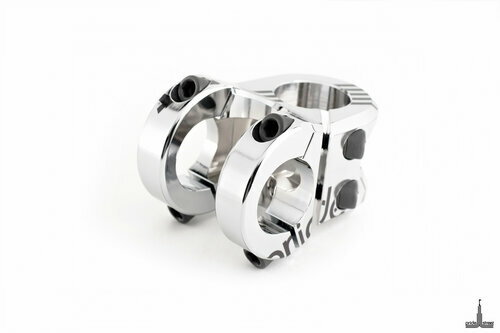 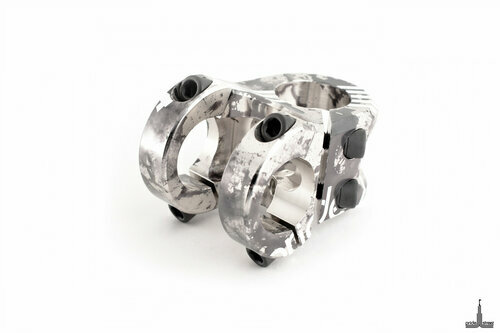 It has a knee friendly steerer tube clamping design and a 'No gap' clamping system gives a unique smooth look. 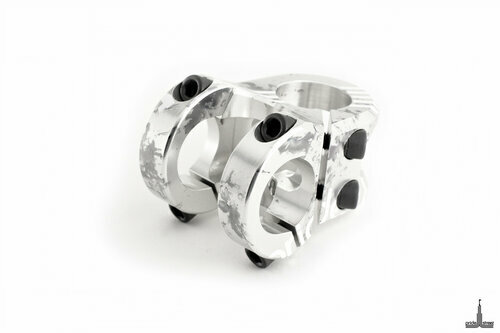 6 mm bolts with: 6mm Allen hex sockets – strong & light.